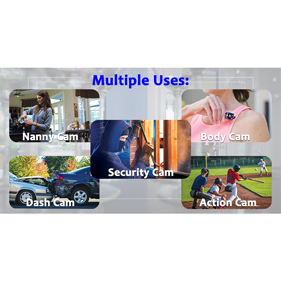 Introducing Cop Cam, the cordless HD security camera that's smaller than 1 cubic inch! It's motion activated so it records anything, any time motion is detected... even at night! With its powerful microphone to record high-quality audio and wide angle lens, Cop Cam can easily capture the action.